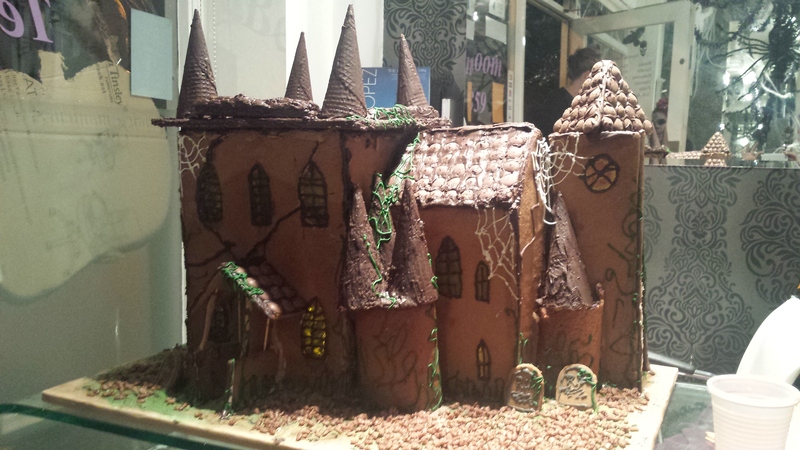 This Gingerbread House was designed for a Charity Event at The Beauty Room Brighton and put into a Halloween Raffle. Although Gingerbread has a reputation for being Christmassy, you can warm yourselves up for the big event as early as October with this designs like these! I delivered the Gingerbread Haunted Mansion in time for the Halloween Event at The Beauty Room. The whole event made over £200 for The Martlets Charity and the winner took the mansion to her special needs school to share.